Dismayed by the thought of spending your holiday in a series of impersonal hostels, motels or hotels? Tired of cramming the family into a tent in a crowded campground? For travellers looking for “unique” places to stay, peer-to-peer accommodation websites could be the answer. They offer everything ranging from a humble couch in someone’s living room to a stately castle. Another bonus is these lodgings can often be cheaper than the traditional options. But before you hit the booking button, make sure you understand how these services charge, what you can expect and where you can turn if you run into strife. Sites such as Airbnb, Roomorama, FlipKey, HomeAway, Bookabach, and Holiday Houses are like accommodation dating services. 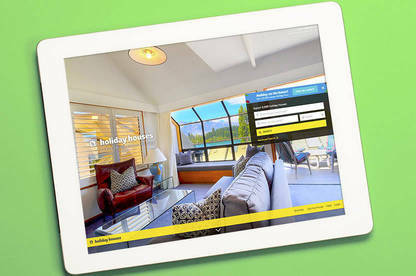 They connect travellers and holidaymakers with private individuals, or property managers, offering places to stay. While some are global ventures, others are more specific in what they offer. Some specialise in holiday homes while others include accommodation with private hosts or in apartments and homes in urban areas. But all these services follow the same basic formula. Property owners, managers and hosts list their rentals, potential guests choose one that suits. The site then facilitates any deal. The listings show rental costs, photos, details of the amenities, minimum stay periods, dates available and reviews from previous guests. Cancellation policies and rental agreements may also be shown. While some sites are little more than classified advertising for the property owner, others provide inquiry, booking and payment systems to make the process easier – and safer – for guests and hosts. Local taxes depending on the country or city. An owner might also ask for a security or damage deposit. This can be through a hold on your credit card when booking or, in some cases, by cash at time of check-in. We wouldn’t recommend paying in cash, until after you’ve inspected the property. These costs aren’t included in the initial advertised rental price but are shown on the listing details or in the booking summaries. The range of potential fees varies from service to service, and from owner to owner. You should read your documentation thoroughly to avoid any nasty surprises. In addition, look out for currency exchange or bank fees. 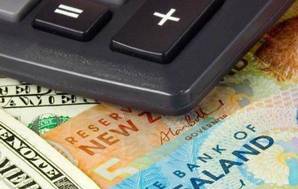 Some sites might list the costs in New Zealand dollars but you have to pay in the local currency. 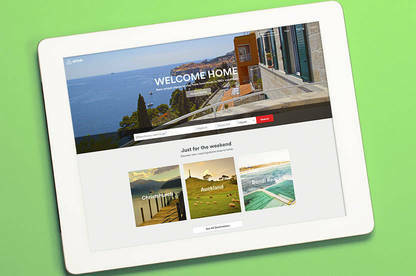 Airbnb, FlipKey and Roomorama charge guests a percentage service fee on top of rental costs. The Airbnb and FlipKey fees decrease as the price increases. Roomorama’s fee depends on the length of stay. HomeAway, Bookabach, and Holiday Houses have no service fees for renters; the property owner or manager pays a commission on any bookings or a fee to list their property. What happens if you need to cancel your booking? Any refund depends on the service and the owner, and policies can vary widely. Most sites have cancellation policies a property owner can choose from, while some owners have their own. Generally, you have to contact the property owner or manager directly, and possibly in writing. Before you book anything, check the cancellation policy on the listing. If it’s not there, you could be taking a big risk. If you’re booking overseas, check your travel insurance will cover any cancellation costs. What if the host or property owner cancels? You should get a full refund. Sites like Airbnb and Roomorama don’t pay the host until after you check-in. If the host cancels, you can transfer your held payment to another booking or get a full refund. Picked a dud? If you have a problem, try to work things out with the host in the first instance. Some services help guests if they can’t resolve matters with a host. But the level of assistance varies. Airbnb has a guest refund policy and resolution centre to deal with problems that can’t be sorted between the host and guest. FlipKey has a “peace of mind” guarantee: if the guest can’t access their accommodation or it doesn’t materially match its description, they’re covered up to US$10,000. Roomorama and HomeAway won’t take any other action against a property owner or mediate between them and a guest. They’ll take note of complaints and encourage the property owner to address them. 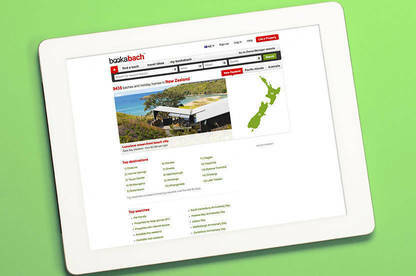 An advantage of New Zealand sites, Bookabach and Holiday Houses, is you can take any disputes with the property owner to the Disputes Tribunal. Website operators here also have to comply with consumer laws. Your protections when dealing with overseas sites vary from country to country. If you’ve paid by credit card and don’t receive the service advertised, you may be able to get a charge-back from your credit card provider. By their nature, online accommodation services involve a level of trust between the visitor and the host. However, all these sites have some protection measures. Ratings and reviews: all the sites provide ratings and reviews of the accommodation by users. Some have two-way review systems that allow guests and hosts to comment on each other. 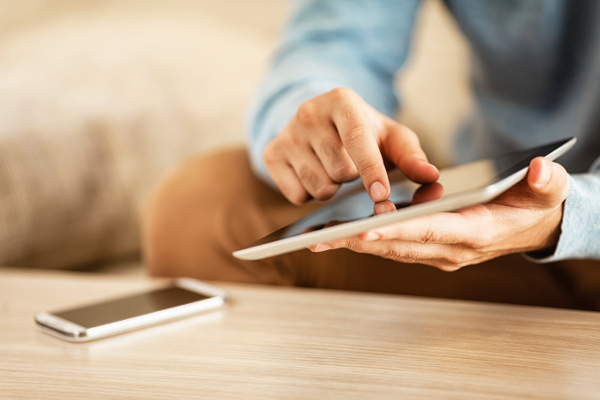 Third-party payment systems: paying through the accommodation site’s booking and payment system may reduce the chance of guests being ripped off. For example, Roomorama provides a check-in code the guest gives the host on arrival for them to be paid. Host/guest verification and profiles: sites have different measures for checking the identities of hosts and guests. For example, users and hosts on Airbnb can have their identity verified by the service. Hosts can then display a verification badge on their profile. That said, Airbnb says it’s “not an endorsement or guarantee of someone’s identity” and it doesn’t mean the host will be “trustworthy, safe or suitable”. Roomorama asks hosts for ID to verify their account or listing, and they can become Certified Hosts once they’ve received three positive reviews. We recommend taking any claims such as “verified” or otherwise with a grain of salt. Check ratings and comments. A low rating or highly critical comments online are the best indication the accommodation might be sub-par. Do your research about the surrounding area and facilities. Ask the host questions – but do it through the site. Read rental agreements and cancellation policies carefully before booking. If you’re staying with a stranger, share your booking information with someone in case of emergency, and have a backup plan. Number of listings: 1.5 million+ across 34,000 cities and 190 countries. 7000+ in New Zealand. Types of listings: Shared rooms, private rooms, B&Bs and entire properties. Who do you deal with for bookings: Property owner via Airbnb. Who do you deal with for payment: Airbnb. Booking/service fee: 6 to 12 percent Airbnb service fee (non-refundable). Cancellation policy: Host selects from Airbnb options. Rating/review system: Five star ratings. Reviews of accommodation/hosts and guests. Safety features: Verified ID, host and guest profiles, third party payment, guest refund policy, resolution centre. Number of listings: 300,000 worldwide. 262 in New Zealand. Types of listings: Private rooms, entire properties, B&Bs, hostels and hotel rooms. 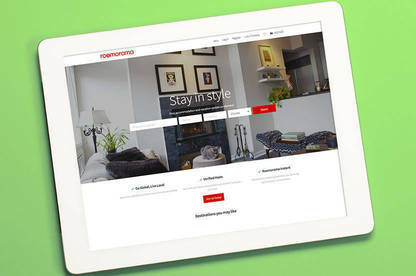 Who do you deal with for bookings: Property owner via Roomorama. Who do you deal with for payment: Roomorama. Booking/service fee: Roomorama service fee of 12 to 15 percent based on length of stay (non-refundable). Cancellation policy: Standard Roomorama policy; certified hosts can have their own policy. Rating/review system: Five star ratings. Reviews of accommodation. Safety features: Certified hosts, third party payment, payment code. Owner: TripAdvisor, US, since 2008. Number of listings: 300,000 across 11,000 cities worldwide. 1500+ in New Zealand. Types of listings: Mainly holiday rentals, some private rooms and B&Bs. Who do you deal with for bookings: Property owner/manager via FlipKey, or directly. Who do you deal with for payment: FlipKey or property owner/manager. Booking/service fee: 5 to 15 percent FlipKey booking fee if host uses FlipKey booking system (non-refundable). Cancellation policy: Host selects from FlipKey options. Deposits non-refundable. Rating/review system: Five star ratings. Reviews of accommodation. Recommend to friend. Safety features: Peace of mind guarantee, third party payment. Number of listings: 1 million+ worldwide. 8234 in New Zealand. 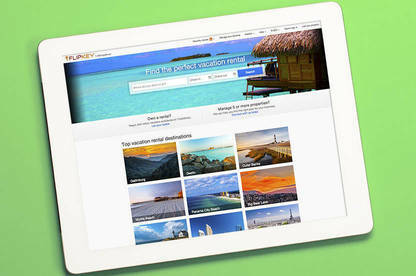 Types of listings: Mainly holiday rentals, some B&Bs and hotel rooms. Who do you deal with for bookings: Property owner/manager via HomeAway, or directly. Who do you deal with for payment: HomeAway (for pay-per-booking listings) or property owner/manager. Booking/service fee: No HomeAway fee. 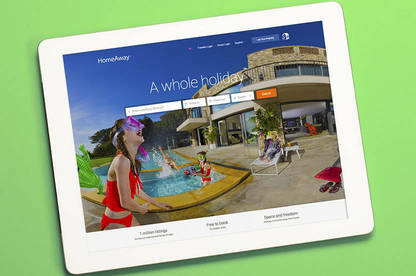 Cancellation policy: Host selects from HomeAway options (for pay-per-booking listings). Safety features: Optional carefree rental guarantee and cancellation protection policy, basic rental guarantee policy, third party payment for pay-per-booking listings. Owner: 75 percent owned by HomeAway, US, since 2013. Number of listings: 9355 in New Zealand, 237 in Pacific Islands, 39,000+ in Australia. Types of listings: Holiday rentals. Who do you deal with for bookings: Property owner/manager via Bookabach. Who do you deal with for payment: Bookabach (for Safepay listings) or property owner/manager. Booking/service fee: 2 percent service fee for credit card payments on Safepay listings. Cancellation policy: Host’s own policy. Rating/review system: Five star ratings of accommodation. Reviews of accommodation. Star rating and reviews of guests and property owner/manager. Safety features: Basic rental guarantee fraud protection, third party payment (Safepay). Owner: Trade Me since 2009. Number of listings: 9600+ mainly in New Zealand. Who do you deal with for bookings: Property owner/manager. Who do you deal with for payment: Online payment system or property owner/manager. Cancellation policy: Host’s own policy. Non-refundable minimum fee of $20 if online payment system used. Safety features: Third party payment. We asked our members about their experiences with Airbnb – one of the largest players in the market. We mostly received positive feedback about its accommodation and the service. Ruth used Airbnb in Australia a few times. In Sydney, her host emailed her the week before she arrived with the latest shuttle info and lent her a local transport card for the buses and trains. A reason she chose the accommodation was the host was home during the day and happy to let her turn up early and leave late – unlike other places with strict check-in/out times. Natalie and her partner stayed in seven Airbnb rentals during their eight-week trip to the US. Only one place was a disappointment – a smelly apartment with a run-down kitchen. Two of the seven places were shared homes with the host.